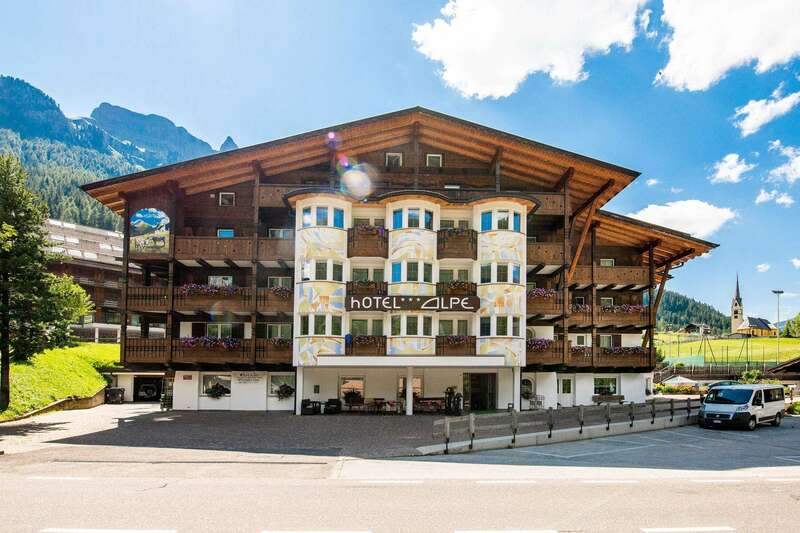 Located in Alba Di Canazei, Hotel Alpe offers guests a spa with pool, rooms with mountain styles and free parking space. Free WiFi connectivity is also available in the hotel. Each room here has a balcony which overlooks the mountains. The rooms have wooden furnishing, and the floors are covered with parquet and carpets. The hotel also features a wellness center which offers hot tub bath, Turkish bath, herbal bath and sauna. Beauty treatment and massages are made available on request. Game lovers can have an awesome time playing fun filled games like bowling, table tennis, table soccer and billiards. The hotel features a gym and a TV lounge. Breakfast which is served every morning consists of bread, yoghurt, cheese, eggs, fruit and cold cuts. Both local and foreign delicacies are served in the hotel’s restaurants. 30m away from the hotel is the public ski bus stop. There is a heated ski storage room.